According to the National Curriculum (July 2014), Year 2 pupils should be able to use the present tense and the past tense of verbs appropriately and consistently throughout their writing. They should also now be introduced to the concept of verbs in their progressive form, whether that is in the present or the past tense, in order to describe an activity that is ongoing. 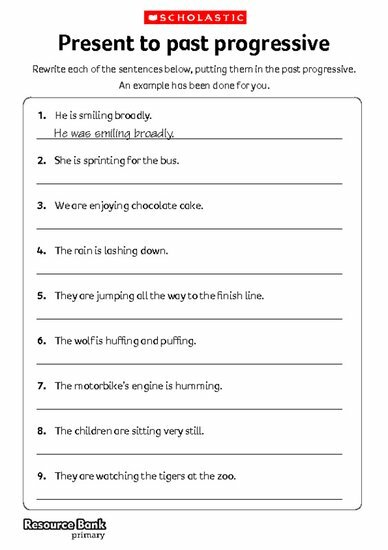 Introduce children to the topic using this quick fix activity, which requires children to change simple sentences from the present progressive into the past progressive.